People will tell you “there is no such thing as a free lunch" and this story is such a great example of that. Paul and the team at Vinci PLC have been on a bit of a Service Management journey over the last three or so years, having previously used our Supportworks on-premise solution and then moving to Microsoft System Centre Service Manager, and all for the right reasons of course, I remember them being very gracious and having good business reasons for doing so. I am delighted to say that we are lucky enough to once again have the custom of Vinci PLC and Paul has been kind enough to allow me to share their story. VINCI companies in the UK turn over in the region of £2 billion per annum and employ circa 9000 employees. This represents 6% of VINCI’s €38.7 billion turnover and 30% of VINCI’s European turnover outside France. VINCI employs around 185,000 people in 100 countries around the world. 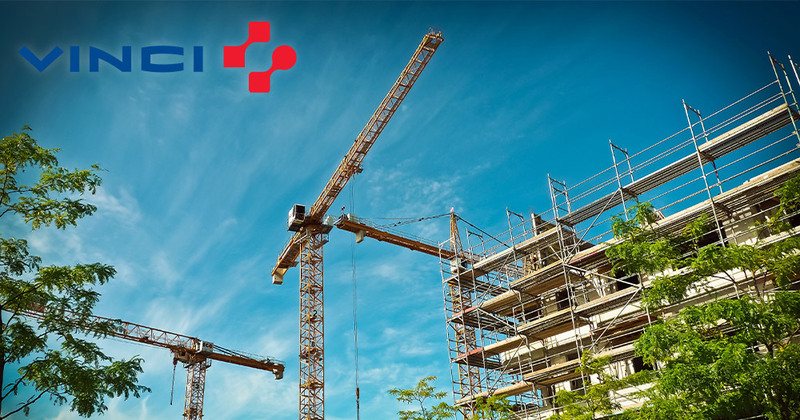 Like many other organisations Vinci are on a fairly aggressive Digital Transformation Program where Hornbill's Platform is helping VINCI realise an overall Enterprise Service Management strategy. I asked Paul some questions and this is what he told me. Can you give me a brief background of who you are and what your role is at Vinci? 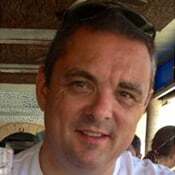 My name is Paul Alexander and I am part of the Application Support Team at VINCI PLC (a building, facilities management and concessions company based in Watford). As the person responsible for the upkeep of our Service Management tool it was my job to help evaluate and select our ‘new’ tool when the time came to change and, once chosen, to implement that tool. What Service Desk tool was in place at Vinci before you deployed Hornbill Service Manager? and what were your reasons to change? the lack of a decent Portal – we resorted to a 3rd party option for this, which was another expense on top of what we were paying for the underlying system. the usability of the software – the layout of the working canvas was terrible and very cluttered. the skills and knowledge required to get it working correctly and consistently meant that only a small core of people had any idea of how to get things up and running, and changes and improvements were painful and took a long time. any updates from Microsoft meant that there was a very good chance that our in-house customisation wouldn’t work after an upgrade. We liked the idea of being able to monitor our systems, automatically create tickets when errors were found and have a built-in process to deal with these tickets when they were logged. We were also happy with the idea of having a customer portal so that end-users could log their own tickets and they could track the progress of those tickets. All of these things can be done using Microsoft SCSM. What we weren’t really prepared for was the amount of work and technical expertise it took to get it working satisfactorily. To get things to a workable state took a lot of hard work, a lot of coding too (we eventually had to purchase a 3rd party Portal because the original Silverlight-based one really didn’t do what we wanted it to). We also had to utilise System Centre Orchestrator for almost every aspect of ticket handling which added another level of complexity. Another drawback we found was the amount of database estate that was required for all of these different items. Added to this was a data warehouse where all reporting was run from. This was all deployed on-premise and the IT real estate to support this really added up to a big headache for us. As I mentioned, using SCSM did become a bit of a headache for everyone. The layout on the canvas was very cluttered, with no real way of hiding items you didn’t want to see, and because we needed to use MS Orchestrator to interact with the tickets in order to make the process more automated, every click of a button seemed to take an age to complete, so skipping through a ticket just wasn’t possible. To make matters worse for us, the solution was so heavily customisable it meant that Microsoft could not guarantee that any updates they made wouldn’t affect the running of your instance. As it was, I only remember two updates from Microsoft in the whole time we were using SCSM – both of which caused us real headaches! Hornbill Service Manager is, to my mind, a natural progression from Supportworks and a real leap ahead of SCSM! At first, I thought that the lack of any ability to customize through writing code in Hornbill might be a drawback, especially after being used to using System Centre Orchestrator to manipulate data and interact directly with tickets. Although there have been one or two instances where we have had to change the way we do some tasks (which we now do manually where previously they were automatic) we have actually found Hornbill to be very easy to use. The initial setup and configuration was very simple – using the knowledge we had gained from doing a similar setup a few years earlier for SCSM meant that we knew what DID work for us and what we needed to discard. With the help of the ‘Switch-On’ team and easy access to the online documentation there were very few times when we didn’t feel completely confident in what we were doing. Hornbill is used by our Service Desk, Operations and Applications Support teams and has been welcomed by everyone. Everyone agrees that it is a MUCH better product to use than previous tools and, coupled with the ability to make changes quickly and easily, we have streamlined almost all of our processes since starting to use Hornbill. We looked at EasyVista, ServiceNow, Compass, BMC RemedyForce and FreshService. We had quite a few demos of different solutions over a short period. A few of the offerings stood out, a few more seemed to be very expensive or a little too ‘deep’ for our needs. Hornbill stood out as a definite possible solution as it looked sleek (and worked in the cloud MUCH faster than the on-premise solution we were using) and the layout seemed to make sense straight away, it was intuitive. We knew from our previous experience with Supportworks that Hornbill was a good company to deal with. At all stages we were kept informed and were gently nudged when we needed to get things moving, but at no time did we feel uncomfortable dealing with any of the people at Hornbill. We still find that communicating with anyone from the company is an easy, frictionless experience, whether it is through the Forums, e-mail or the Success Portal. Since rolling out Hornbill Service Manager, how has it gone since you went live? ‘Going live’ is always a little tense – testing had obviously taken place, but no amount of testing can cover all eventualities (and all types of ‘people’ problems!). We had an extra pressure of knowing that we had to get things right before the hard deadline of having to switch off our System Centre Service Manager instance exactly one month after our Hornbill go-live. We did have a bit of a luxury knowing that almost everyone was looking forward to replacing the old Service Management tool, so we had the advantage of knowing that things really could only get better! As all of our Service Desk staff had already used an SM tool before, there was very little training required for them to get on top of what they needed to do. The basic call logging remained pretty similar to the other tool, and the simple and well-designed layout of Hornbill meant that we didn’t need to give too much instruction to get people up and running. The Service Portal has really helped – we use it as one of 3 ways for our customers to log calls (emails and phone being the other options, with Chat being a possible option soon). Although we did already have a Portal, the new one from Hornbill is much ‘cleaner’ and easier to use and customer feedback seems to suggest that this is an opinion shared with most of our user community too. As we had a limited time period to get things up and running in order to hit our deadline for having to switch off our old service, we initially made a like-for-like copy of our old processes in Hornbill. This was done for two reasons…first, it meant that we didn’t have to reinvent the wheel as far as figuring out how to get things done, and secondly it meant that the analysts didn’t have something else to have to get to grips with when we changed the tool. As we have progressed and have gotten used to the new way of doing things, we have decided to change a few processes to make things more streamlined. This has been a very easy thing to do as the design tools in Hornbill mean that, as long as you’ve taken the time to map processes out, getting them uploaded in Hornbill is dead simple. Reporting is another facet that we’re using and which has been easy enough to implement. We are now using these reports and widgets to promote the statistics to the team on various wall screens around the office. We are now looking at expanding our Processes to cater for working with 3rd party customers in the very near future which will mean having non-IT team members logging and dealing with particular calls from their external customers. This will be a challenge for us, but assuming we can get it working it will mean that we can start to look at recommending Hornbill to our facilities management teams who currently have no service management tools to work with. Although their work is not necessarily IT related, at the moment we can’t see any reason why we can’t embed their processes in Hornbill and let those teams manage their work through a Customer portal. The possibilities really are endless! It is very easy to pick up….new analysts need very little training and, as long as they can point a mouse and have a bit of common sense, everything else does seem to flow very easily. Making changes and creating additional processes and progressive captures is VERY simple. This helps because it means there is very little time required between having an idea and implementing that idea. Getting help and touting for improvements is simple and effective using Hornbill’s On-Line Community. It’s a very simple way of getting help or advice, you can get an answer back from any one of the hundreds of forum members within minutes means that we’re never really stuck for long! One thing I would like to see is the ability to move a BPM along based on receiving an email with a specific word in the title (so we could implement a branch in the BPM if one word is found, or go a different way if the word is NOT found). This is something we used to be able to do in SCSM with the help of Orchestrator and would be really nice in Hornbill! Working with, and using Hornbill is easy! I don’t think there is anything that I don’t like about it. Once or twice I have come across something which is either just not available or difficult to find, but a quick note on the community forum has cleared things up within minutes. The regular updates mean that a problem doesn’t seem to be a problem for long. With the imminent arrival of Hornbill Project Management application, we will soon be adding more people to our user base, but I don’t think that is going to prove to be too much of a challenge if previous experience is anything to go by. I have found the whole Hornbill experience to be pain-free and friendly and I would recommend Hornbill to anyone looking for a new Service Management solution. In my own opinion, Microsoft System Center Service Manager is not a bad product, its quite comprehensive but it does come at a cost, and up until recently the costs were primarily just the invisible cost of ownership. The big problem though is the strategic reason for its existence. Microsoft are a great company and much of their success beyond their desktop application portfolio is built on a broad partner eco-system. Microsoft are not in the niche player business, but they offer niche products essentially through their partner network. If such a product just worked out of the box there would be no "skin in the game" for the partner eco system, so you can think of SCSM as a toolkit rather than a finished product, and as a toolkit, its specifically designed to create a revenue stream opportunity for Microsofts partner ecosystem either through implementation/customization services or providing add-ons that round the solution out. Of course the marketing of the product would not make that immediately apparent which is a trap very easily fallen into. As a niche player, Hornbill offers something quite different; our solution is complete out of the box. It's not a product. It's a service we provide, and as a result our partner ecosystem works differently too. Our partners' revenue opportunities come from adding value, by delivering support and services that focus on helping you get your processes, reporting and strategy all going in the right direction. Thanks again to Paul for sharing your service management story with us.